The Power of Forgiveness : How To Let Go Of Bitterness & Forgive Those Who Hurt You. How many times have you been wronged in your life and desperately want revenge to even the score or to put your mind at rest? Countless times without any doubt. You can’t eat or sleep because your every waking moment is consumed with getting revenge on the person who wronged you. Even though the Good Book tells us to turn the other cheek and you might have mouthed ‘I forgive you’ to the person who wronged you there’s still that burning anger within you that will know no peace until you get your own back. If you’ve been wronged it’s not easy to forget until the other person is punished. Psychologically it changes our perspective on life; we feel betrayed and find it difficult trusting people, we question the word ‘justice’ and why it’s failed us, we want to know why guilty people are walking around unpunished. Like a festering wound it grows in our minds, consuming our lives until the only way out is to seek revenge. Revenge can sometimes be a bitter-sweet-pill; on the one hand we derive satisfaction from getting our own back on those who wrong us but on the other hand we risk turning into the monsters they are. We spend so much time plotting or devising our perfect revenge on them not realizing that by every minute we’re beginning to think like those who wronged us in the first place. A German philosopher once said that he who fights monsters must take care that he doesn’t become one himself. Not forgetting what Confucius said, “..before you embark on a journey of revenge, dig two graves..”, your revenge trip might just backfire on you! Two wrongs do not make a right. If you fight with a mad man on the street what are people going to say? They will say two mad men are fighting! Likewise if someone does something bad to you and you retaliate you become as bad as the person who wronged you in the first place. So let’s say you’re still bent on revenge. You decide to strike back. Good! You’ve got your revenge, happy now? Does it compensate you for the pain and suffering you’ve been through or do you just pretend to yourself that it does? It doesn’t! The pain of what that person did to you, either physically or mentally, will always be there and no amount of revenge will get rid of it. As for those who are suffering from spiritual attacks, which is the preferred weapon of choice of our people, I urge you not to reply in kind, resist the temptation. Any misuse of spiritual powers to cast spells or do juju is evil and demonic. It’s best to leave such diabolical practices well alone. The divine retribution for using such evil powers or entities, irregardless of the circumstances, is often severe. In saying this I’m not saying don’t protect yourself. Heaven helps those who help themselves. Fortify yourself with meditation, prayer and the Light and you’ll be fine. Sometimes, without sounding like a coward, its best to just walk away and leave the other person to face divine justice which has a way of punishing us for our misdeeds when we least expect it. As the Yorubas will say – “ God didn’t put their punishment cane in your hand”. Leave them, they’ll be dealt with. With time your wronged heart will heal and you’ll be able to move on with your life as the better person who didn’t seek revenge risking becoming like them. To summarise, the secret to the power of forgiveness is very simple – learn to forgive those who wronged you, in your heart, and move on! It doesn’t mean you’re weak, stupid or a coward. When you forgive somebody, unconditionally, you’re relieving yourself of a great burden. forgive…” – Thich Nhat Hanh. 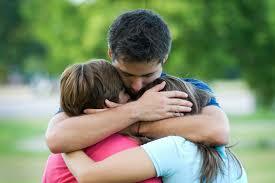 Very few people in the world today have the ability to forgive someone unconditionally – Make yourself one of them. You will be elevated to a state of grace that is neither pretence or forced. If someone can forgive those who strung him up on a cross why can’t you? (Photos) Family of LASU student killed by DHL truck demand justice.